Looking for great apps at a fraction of the price? We found 18 iPhone/iPad apps that are on sale today. 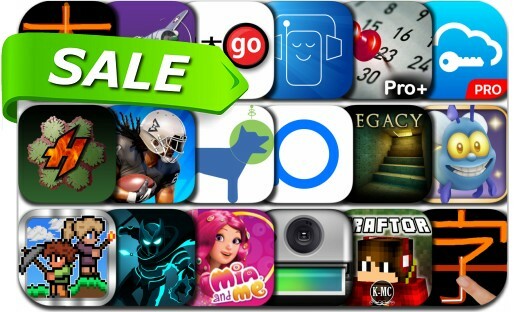 Today’s batch of apps on sale includes Gleam of Fire, PPHub For GitHub, TrainAway - Dog Training, Marshawn Lynch Pro Football, Word Spy by CleverMedia, Legacy 2, Craftor Pro Skins Creator and many others. The first app of its kind, TrainAway is the first Smart dog training tool that allows users to train their pets while they’re not even home!